Nearly a week into advent and I’ve been shopping again! My office is now full of wrapping paper and baubles! This picture was taken on a similar night, after a long day in work. 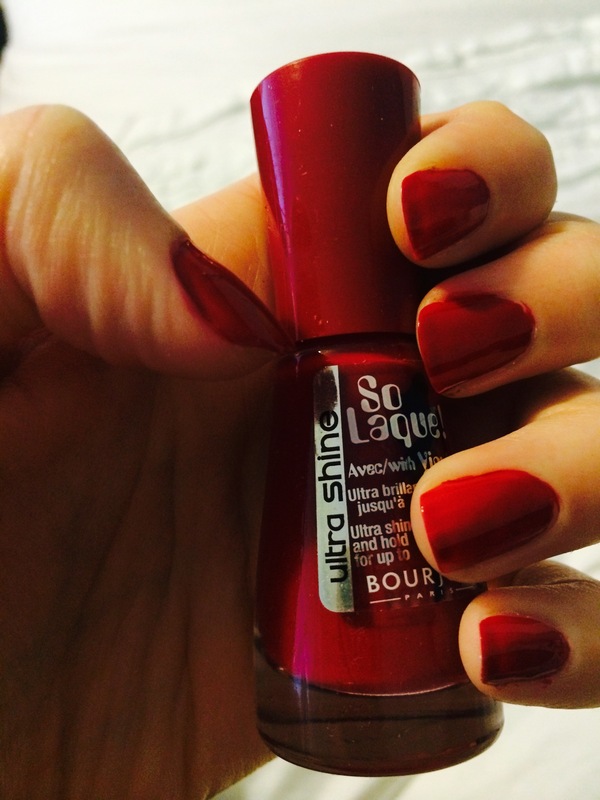 One of my first nail polish brands I ever bought was Bourjois. I’ve always loved their bottle shapes and smooth, glossy textures…and this rich red hue is perfect for the festive season!